Capturing the strong, bold and old world elegance of a French piece of architecture, the dark cherry finish and ebony edges of the Chantilly still remain true to modern culture while highlighting days of old. 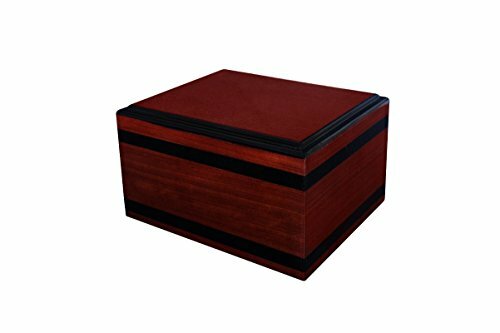 Interior is velvet lined so that a temporary urn will fit comfortably inside. Comes packaged in a velvet bag to protect the finish. This is a large size wood urn and is the perfect funeral/memorial urn that fits up to 235 cu inches (up to 225 lbs. ).